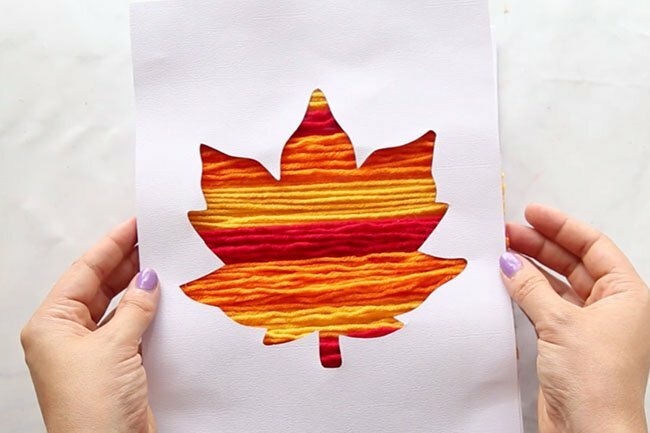 With Fall just around the corner we’re welcoming the new season with this leaf silhouette art. 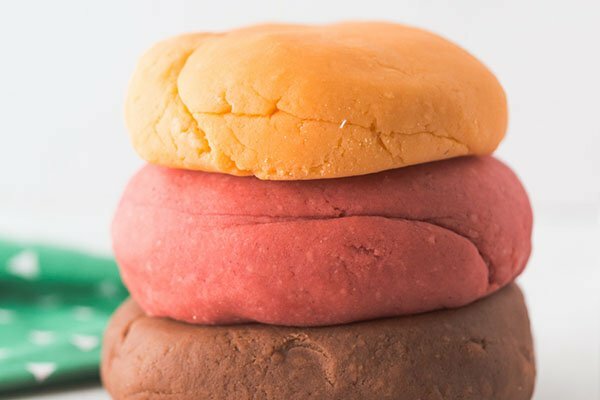 We love how easy this craft is. It can be adapted for kids of all ages. Younger kids can do a painted background and older kids can try the yarn, washi tape or glitter paper. 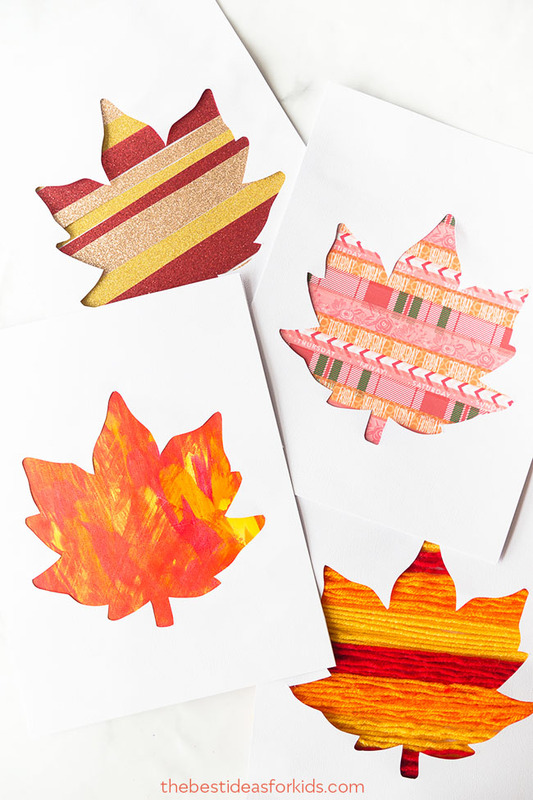 You can even grab some scraps of paper, magazine strips or any other art supplies to decorate your leaf! 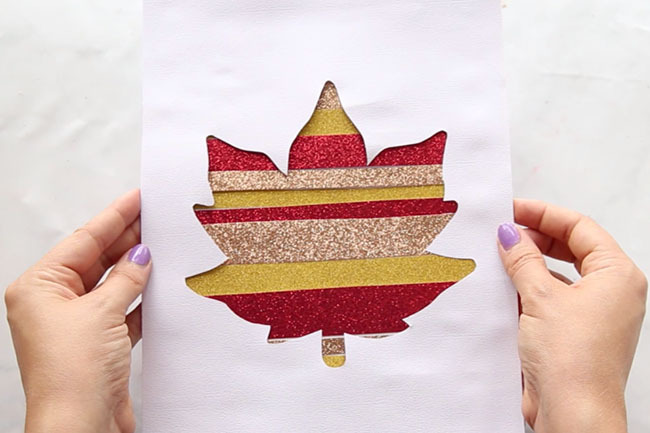 Making fall art can be simple! Grab this maple leaf silhouette template by subscribing to our newsletter at the bottom of this post. All newsletter subscribers will receive the template as a free gift delivered straight to their inbox. We’ll start with the steps to make the paint scrape leaf. 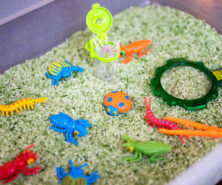 This is a fun one for kids to do! 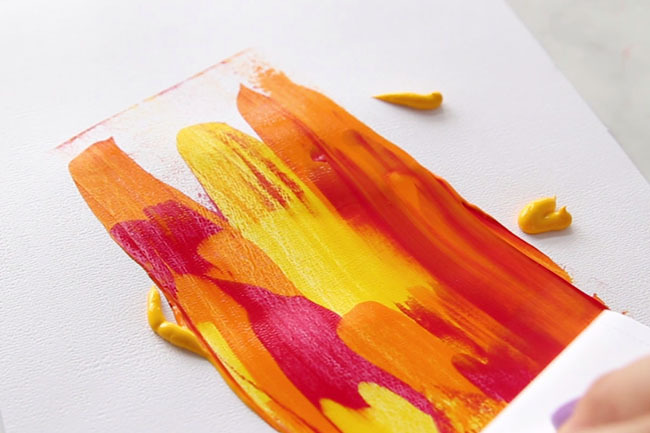 If you have toddlers you can adapt this by putting the paper and paint inside a ziploc bag and have them press the paint around in the bag. You can also have them get their hands dirty and do some finger painting too! 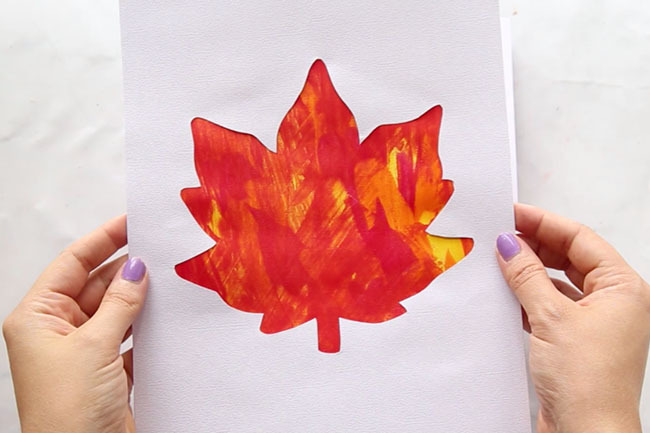 To make our paint scrape leaf, just add some drops of paint on your paper. 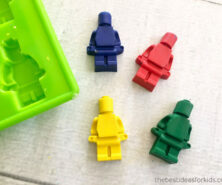 Mix up the colors and where you place them. Then grab a piece of cardboard or other flat hard item and scrape the paint in a few different directions. 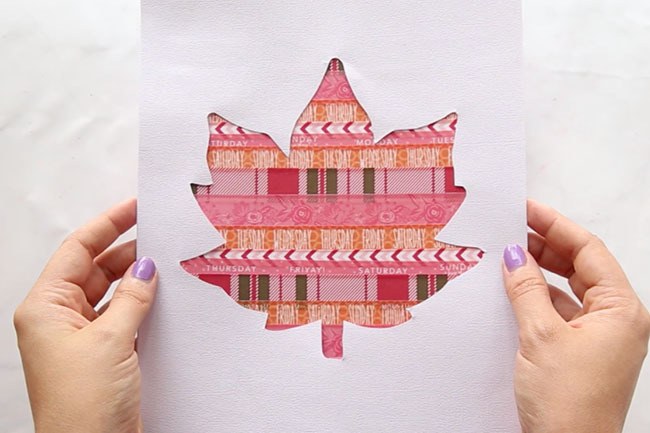 Grab some washi tape and make a background for your leaf with the tape! 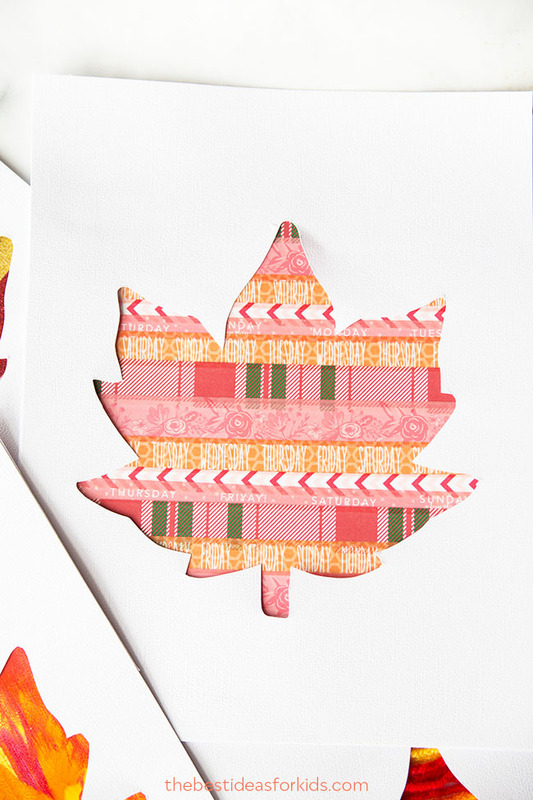 We found washi tape that was colored orange, yellow and red for autumn but you can really use any colors. Place your washi tape across your paper to fill the background. Then glue another paper with the leaf silhouette cut-out on top. Make yarn your backdrop by cutting small strips of yarn and bundling them together. We used red, orange and yellow colored yarn for fall colors. 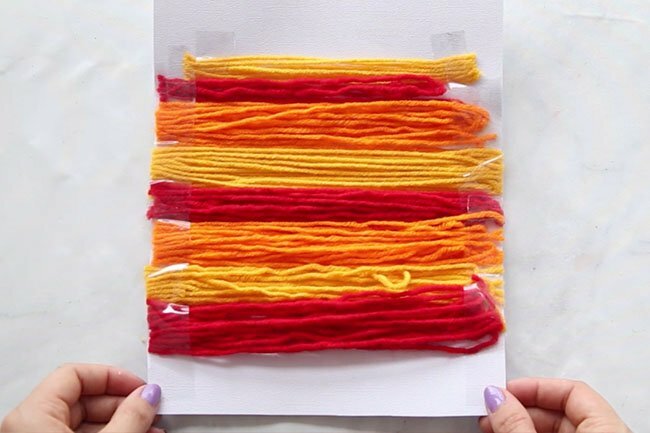 Cut strips of yarn and then tape bunches of them down to your paper. Then glue your leaf cut-out template on top. For gluing this one on top you may need to use some hot glue (adults only). 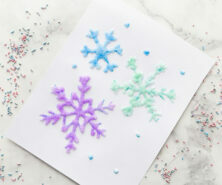 Cut out strips of glitter paper and glue down to your bottom paper. We used glitter gold, red and bronze paper. We like the effect of the glitter paper but any kind of paper would work! You could use painted newspaper strips, magazine strips, paper strips, paper scraps and even tissue paper. Basically anything you can cut into strips can be used for your background! Watch the full video here before you get started! 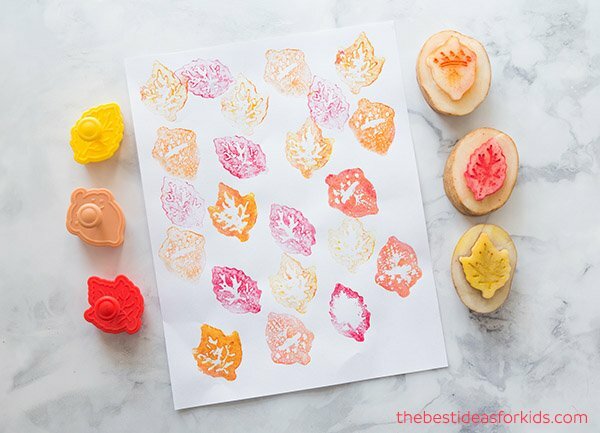 See how to make these fun fall potato stamps and create art with your homemade stamps!